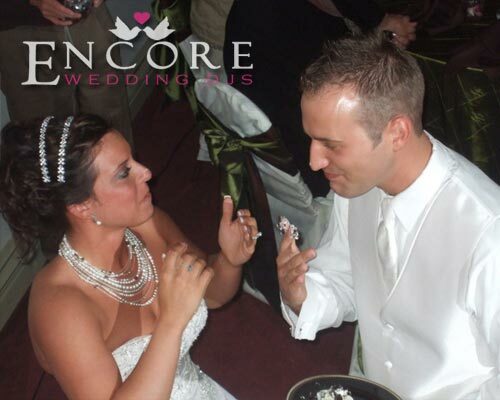 Colonial Valley Suites in Davison Michigan is a great place to host your upcoming wedding reception. Amanda and Mike had Encore DJ and light up their wedding reception. Since the venue is spread across 2 floors, we had to have lighting fixtures in both spots. This helped to give more depth to the room. The couple even decided to have a custom name monogram displayed right about the dance floor. I love the photo above, it’s always in good fun to smash the cake. Just remember to get your photos done first, before you ruin your makeup.